This afternoon I could hear the sounds of little wrens coming from the back yard. I think they sound a bit like a squeaky toy. 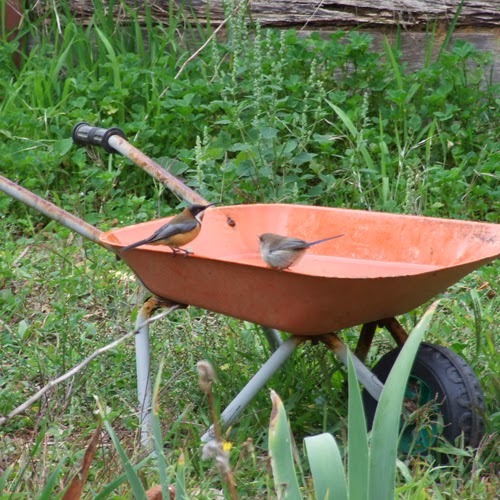 One of the boys old toy wheelbarrows was half full of water from the recent rain and enjoying a bath were a few wrens, a honeyeater and a few birds that were new to our garden. 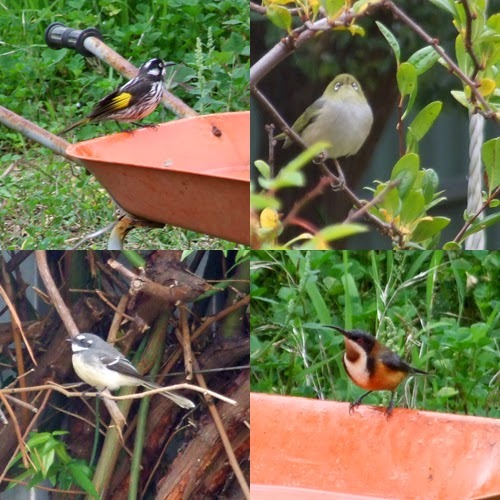 After doing some research I think that the visiting birds may be the Silvereye, Grey Fantail and the Eastern Spinebill. 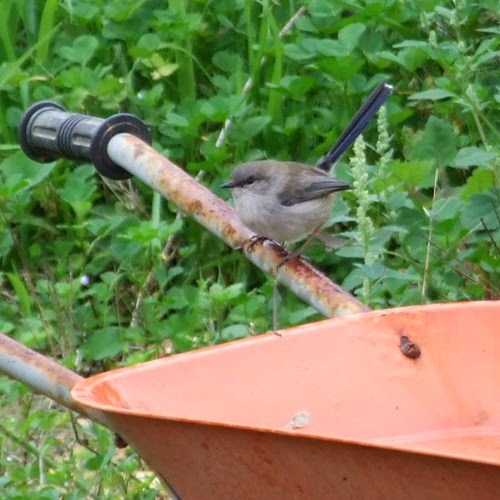 We often have many of the New Holland Honeyeaters and quite a few wrens in the garden but I hope to see many more of these new little birds.